Asia Centre creates positive social impact in the region through its programme of activities. It does this through building human capital and undertaking timely efforts to influence policy directions on significant issues for the benefit of communities. Asia Centre delivers its work through its two offices in Bangkok, Thailand and Johor Bahru, Malaysia. In Bangkok, Asia Centre’s work focuses on thematic issues related civil society, democracy, elections and human rights, while in Johor Bahru, the Centre’s work focuses on thematic issues related to arts, culture, higher education, media and technology. Cross cutting regional themes related to ASEAN, Southeast Asia and how it relates to China, India, Japan, Australia and New Zealand are jointly coordinated by both the Bangkok and Johor Bahru offices. Asia Centre’s annual conferences are also jointly coordinated by both offices. 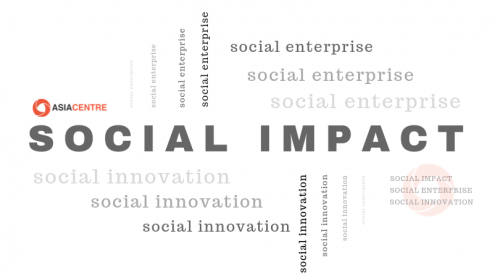 In order to implement the work, Asia Centre employs social innovation by way of new strategies, concepts, ideas and means of organizing and collaborating on activities to flexibly deliver solutions that have a sustainable impact. Asia Centre is well networked with educational institutions, international organizations, non-profit organizations and other institutions in the private, professional and public sector, in the Asia-Pacific region and beyond. It is therefore able to co-convene activities to extend the reach and scope of the Centre’s and its partners’ programmes and events. Asia Centre is a not-for-profit entity and operates as a social enterprise. It generates income through the provision of services to pay for its overhead and staff costs. While for activities and projects, it receives support through donations, grants and sponsorship.